As teachers, we want to help our students learn to become excellent writers! One way we can do this is by teaching students how to revise their own writing. My favorite way to do this is using the Six Traits of Writing. For each trait, I have 4 questions listed that students can use to reflect upon their writing. Use these during your next writing project and have them focus on one trait each day. When they’re done, they will have improved their writing using the six traits! The idea(s) of the writing is the main topic or topics of the writing. 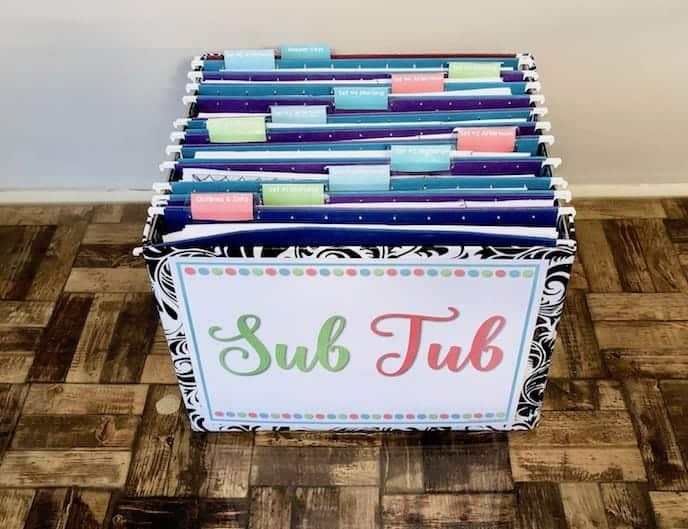 While sometimes the ideas are set in stone (if students are given a topic), students are also given the opportunity to choose their own writing topics as well, and this is when it is important for them to assess their ideas. Is this idea my own? Did I try to make it interesting? What is my topic or message? The organization of the writing is how it is structured. There are so many ways to organize writing. First off, there is the type of writing (story, poem, informative essay, etc.) Then there are different ways to organize the same information. There is no right or wrong way to organize, but the important thing for students to consider is if their writing flows and stays on topic. Do I have a strong opening? Do I stay on topic in my writing? Do I have a clear concluding (ending) sentence or paragraph? The word choice in a student’s writing is the vocabulary that is used to convey meaning. You may want students to use vocabulary words in their writing. And of course, you definitely want them to use a variety of words, and not repeat the same ones over and over! Do I use descriptive words (adjectives and adverbs)? Do I use a variety of words (meaning I don’t repeat the same words)? Do I use any unique words? Do I use at least one vocabulary word? Voice can be one of the trickiest of the six traits for students to understand. The voice of any writing passage is the tone and style of the writing. Simply put, does this writing sound like the author? Does this writing sound like me? Does it sound natural and not forced? Do I use appropriate humor for the assignment? The conventions are what students are probably the most familiar with revising in their writing. This is the nitty gritty- checking the grammar and spelling of the writing. The definition of “conventions” is the correctness of the writing. Do I use capital letters at the beginning of every sentence? Do I end each sentence with an end mark (period, question mark, or exclamation point)? Are my words spelled correctly? Sentence fluency consists of the flow and rhythm of the writing. Most commonly, this means using a variety of sentences in the passage. A mixture of both short and long sentences help the writing flow smoothly. Beginning a sentence in a variety of ways helps, as well. Do I use a combination of both long and short sentences? Do I begin my sentences in a variety of ways? Do I use full sentences with a subject and a predicate? And last, but CERTAINLY not least, it includes these fun Six Traits posters using REAL pictures! Real pictures are great for both older and younger students. 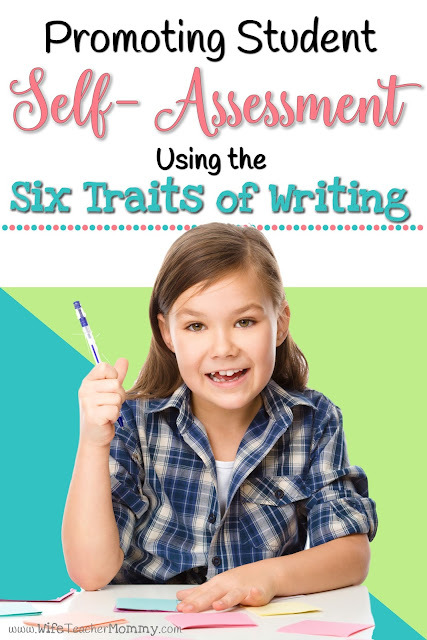 These are perfect to hang up in your classroom so your students can remember the six traits of writing. 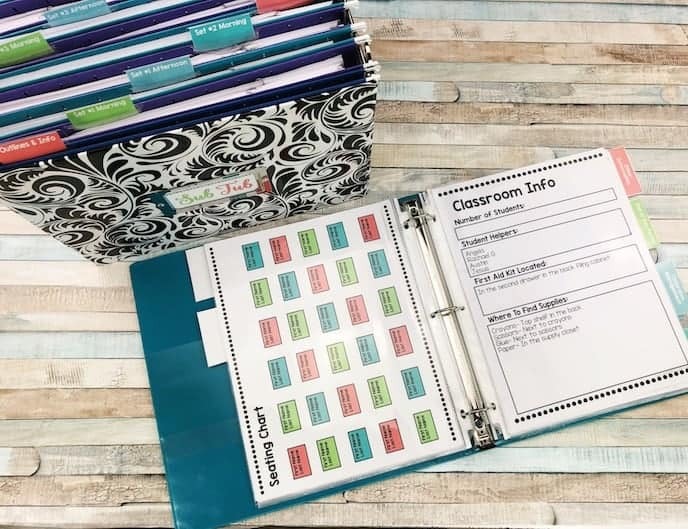 You can check out the product in my Teachers pay Teachers store here or by clicking on the cover image below! 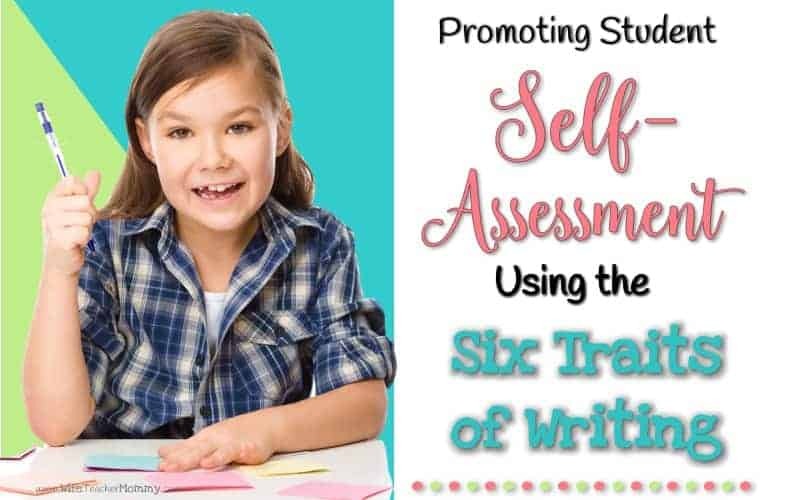 I hope you’re able to use these questions to help your students self-assess their own writing! I know that they were very useful for me. And while you’re here, be sure to sign up for my mailing list here so you don’t miss out on any new blog post and also get access to my freebies that are just for my email subscribers! 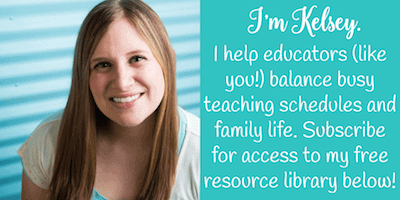 CLICK HERE FOR YOUR FREE RESOURCE LIBRARY ACCESS!